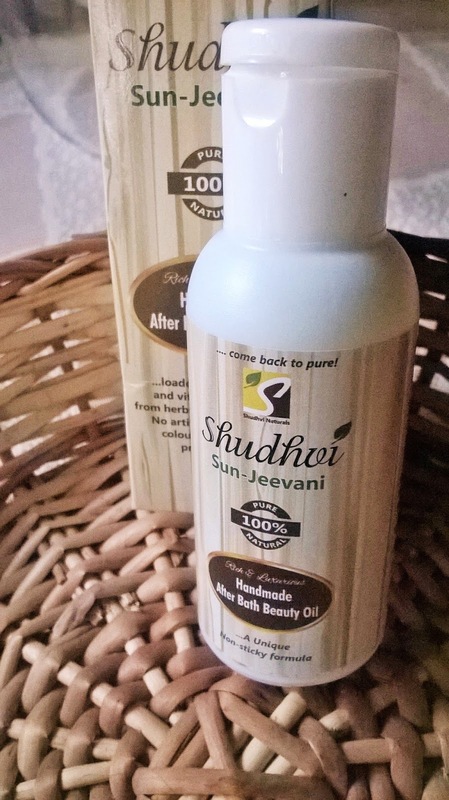 Packaging: Shudhvi Sun-Jeevani Handmade After-Bath Oil is bottled in a white opaque bottle that is packed inside a light brown imprinted outer cardboard packaging. 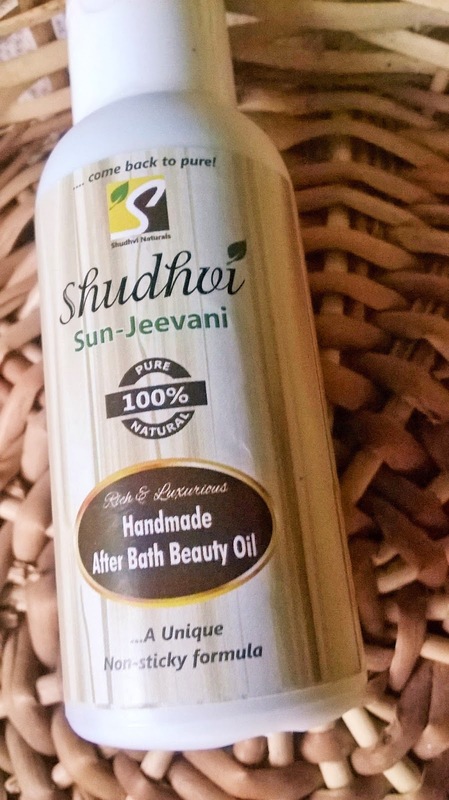 Product: Shudhvi Sun-Jeevani Handmade After-Bath Oil is a yellowish tinted oil with a smell of herbs and coconut oil. 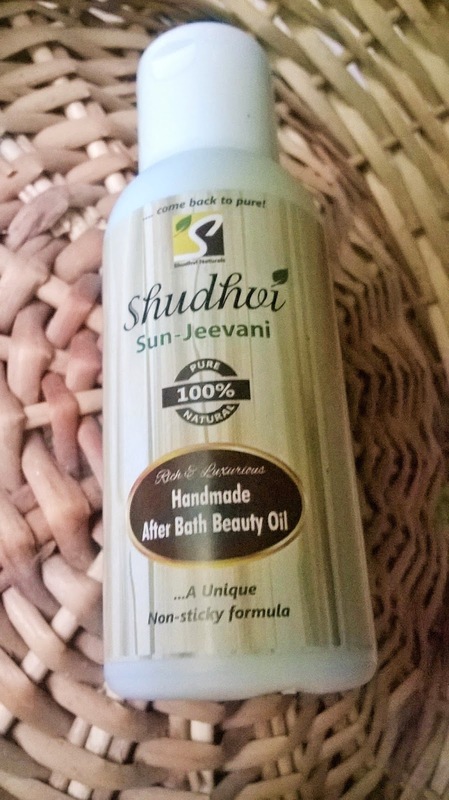 My Experience: Shudhvi Sun-Jeevani Handmade After-Bath Oil is an immensely hydrating oil with superior brightening properties. I love the fact that it can be substituted for normal moisturizer. 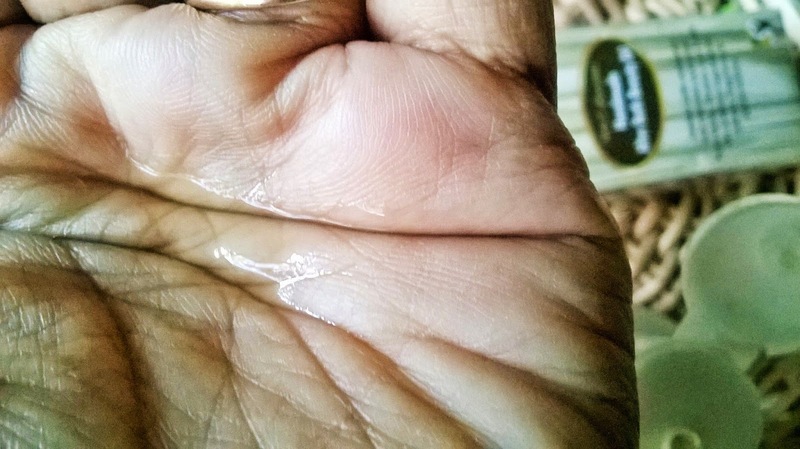 Although it is oil based it is not sticky and leaves the skin silky and soft. 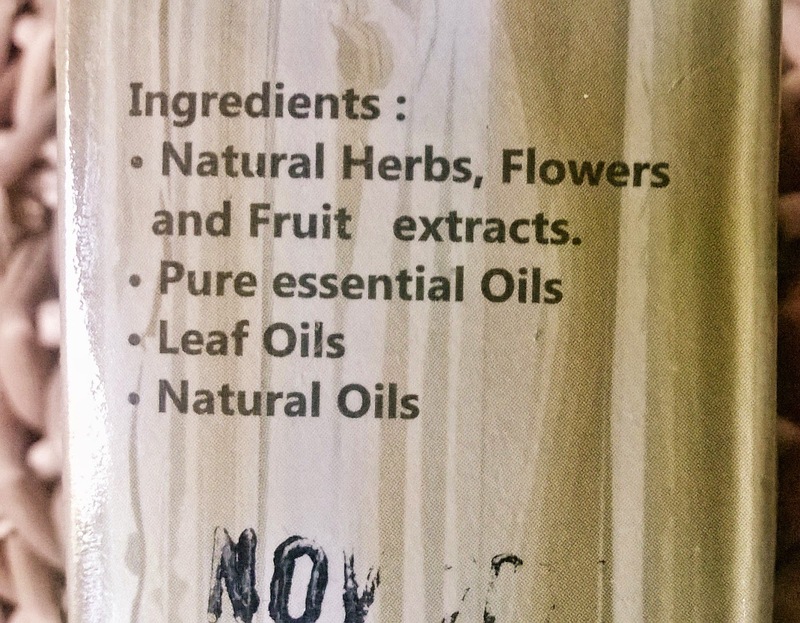 It is suitable for oily skin also as it does not form a layer of grease on the skin. 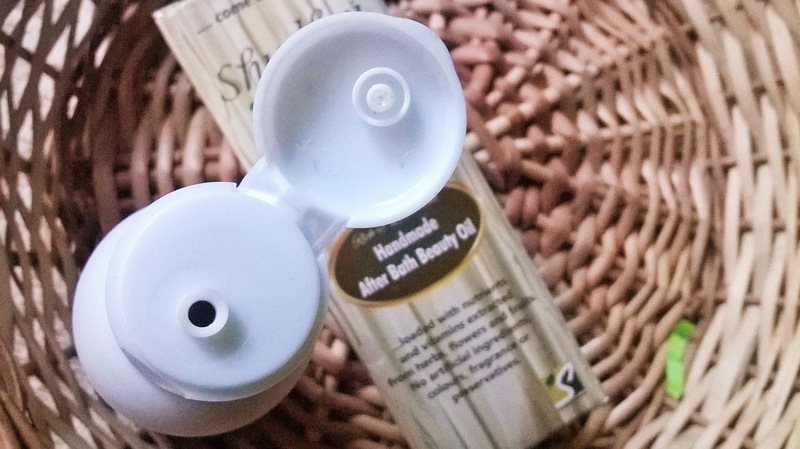 Shudhvi Sun-Jeevani Handmade After-Bath Oil can be used as an instant glow cream and can be added to foundations and BB Creams for a more silky and radiant finish. 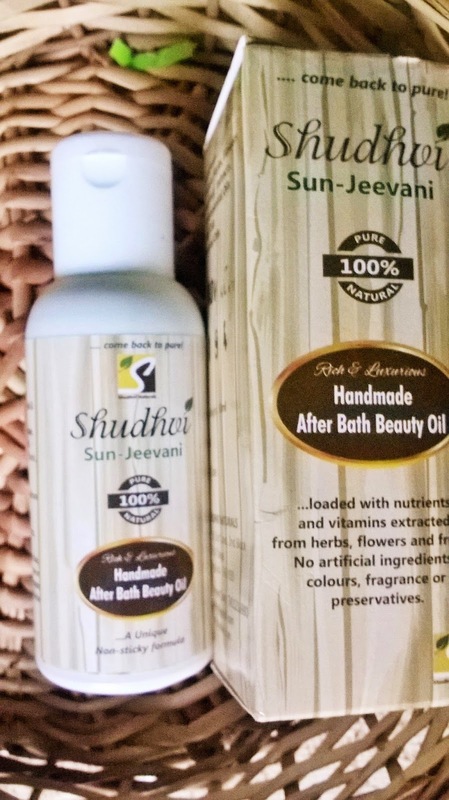 Although the smell is not that appealing as a moisturizer, Shudhvi Sun-Jeevani Handmade After-Bath Oil is a very good product which does an excellent job of hydrating the skin with long term benefits like skin tone correction and giving relief from other skin related problems. 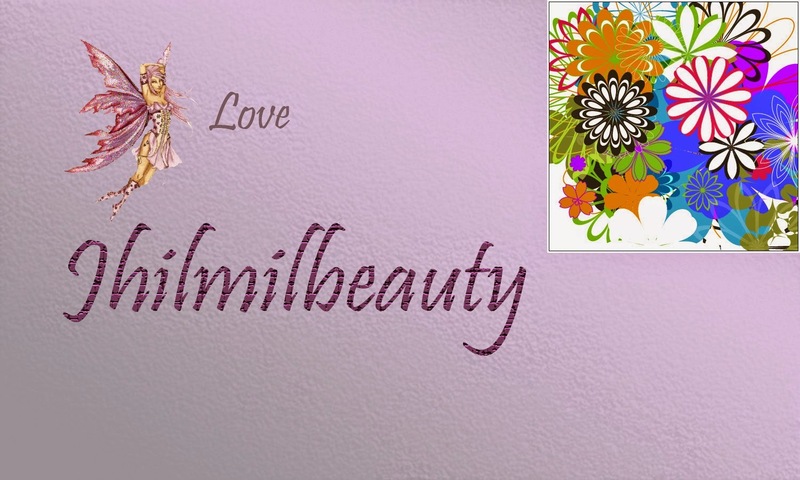 The floral and fruity extracts ensure that you get the best of nature to nourish and beautify your skin. 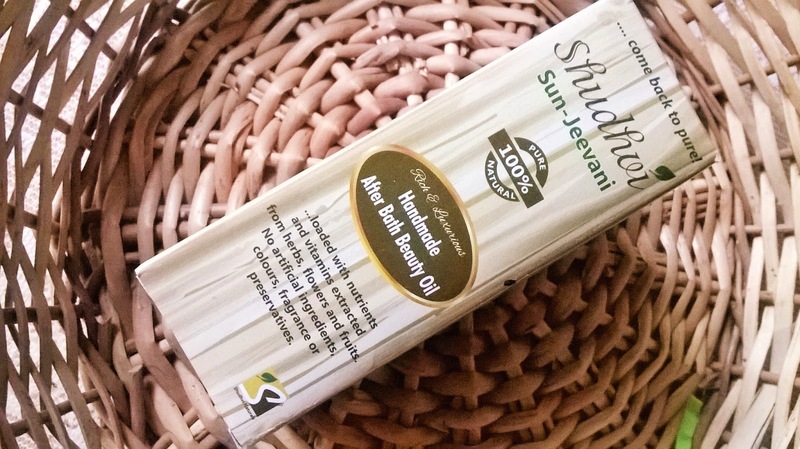 Shudhvi Sun-Jeevani Handmade After-Bath Oil is a beauty oil that does a very good job of hydrating and giving the skin an instant radiance. I would strongly recommend this oil to all who wants a glowing and flawless skin. You can use it in place of your regular moisturizer, provided you use a sunscreen after.